Until recently, organic search results have been dominating the SEO industry with thousands of online brands vying for the top ranking on Google’s search engine results page. But now, there’s a new sheriff in town and it’s called the featured snippet. If you’re wondering how featured snippets impact SEO and how to structure your content to fit within Google’s favoured parameters, you’re not alone. Featured snippets, also known as Google’s answer box, are still a fairly novel concept, so there are bound to be a lot of questions and a lot of forthcoming changes with this new search query feature. Keep reading to find out everything you need to know! You’ve heard of number one rankings on Google, but did you know there’s actually an even better ranking position? It’s called position 0 and featured snippets are the way to get there. When users enter search queries into Google, they want a quick and easy answer to their question. Featured snippets provide a clear, concise, and easy-to-understand answer or explanation right at the very top of the search engine results page. Users no longer have to sift through an endless barrage of paid advertisements or unrelated results to find the answer they’re looking for. The page that provides the most relevant, informative, and concise answer is selected as the featured snippet. To help increase their rankings on Google, content creators need to optimize their content to account for featured snippets in addition to attracting traffic organically. Featured snippets can include short paragraphs, optimized images, lists, or graphs that are selected by Google to appear at the very top of a search engine results page. E-commerce web sites like Amazon and eBay have a list of recommendations at the bottom of each product page. These are called “Customers Also Searched For” sections and they recommend products or services that are similar to the ones you previously searched for. Google has taken the same basic concept and applied it to its main search engine results page. Right below the featured snippets, you’ll notice they’ve included a “People Also Ask” text box that allows you to enhance your research and view related queries. The most relevant query appears at the very top of the list. To view the answers to subsequently related queries, you simply have to click on the dropdown menu and the answer will appear. Note that not every search query will render a featured snippet and PAA result. Oftentimes, you’ll still see a lot of paid and organic search results. Certain types of search queries are targeted by featured snippets. Rest assured, though, that the PAA feature is growing steadily in popularity and according to statistics, it’s already appearing in approximately 79% of search engine results. Google recognizes that it’s not enough to simply display one short answer to any given question, so they decided to expand their users’ options and provide them with more relevant information. How Can You Optimize Content for Featured Snippets? Content on your web site should be well structured, organized, and readable. It should also be short and to the point. Try to stay away from using too much flowery language unless your subject matter actually calls for it. Write short paragraphs. Shorter and informative paragraphs are more likely to be used as featured snippets on search engine results pages. They provide brief, yet informative answers. Include lists to get your point across. Bullet-point lists like those used in recipes or instructions for DIY projects are also more likely to be chosen for featured snippets. They provide the exact amount of information that’s needed without going overboard. Do your research. It’s important to research keywords that are currently trending in your industry and incorporate them throughout your content. Find out what types of questions people are asking and exactly how those questions are being phrased. Focus on voice search. Voice search is very big right now and to be honest, it’s probably not going away any time soon. Google designed the featured snippet tool with voice search in mind. With the rise of smart home devices like Google Home and Alexa, you can expect to see more of these types of searches. Make your site mobile-friendly. In recent years, Google has also focused a great deal on enhancing mobile searches. So, it’s important that your content reflects this change and that your web site is properly formatted. Write Long-Form Articles. While most people tend to skim through longer articles until they find what they’re looking for, they still give you a huge advantage. 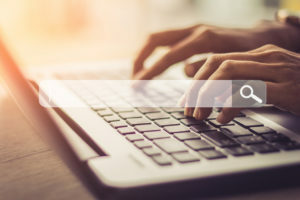 Long-form articles that utilize long-tail keywords give content creators more opportunities to incorporate popular search queries into their content pieces. What Is a Schema Markup and How Can It Enhance Your Featured Snippet Eligibility? Schema markup is essentially an SEO tool that web developers use to help search engines like Google categorize and better understand the content that’s being displayed on their web site. Each page or content piece is categorized as a blog post, static page, service page, or multimedia content (i.e. videos, images, gifs, memes, etc.). Search engines use this information to help deliver the most accurate results for search queries. Based on the type of content you produce and what your target audience is searching for, Google will index your content accordingly. Direct question and answer schemas are typically the most searched on Google. For instance, if you’re a handyman and someone asks a question like, “how do I hammer a nail?”, your best bet is to create a post that lists all of the best methods to use to hammer a nail without causing damage or injury. Presumably, the type of person who would ask this type of question is a novice and needs simple instructions. The result that shows up on the search engine results page is considered a rich snippet because the content is optimized so that the search engine can accurately understand what the user is asking and deliver the most relevant answer. With that said, you need to take on a strong technical on-page SEO approach to help your web site gain more traffic. The first step to accomplishing this is to hire a qualified and reputable SEO company to work on your site and create content for you. At Numero Uno Web Solutions, we specialize in creating high-quality and enticing web content that’s designed to drive up web traffic for small- and medium-sized businesses. Contact us today to learn more about our expertise and how we can help you build a strong online brand.